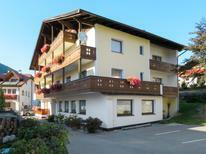 Apartment building in a fantastic location in the ski area of ​​Livigno. ​Italian Alps | These holiday homes and apartments are only a maximum of one hundred metres away from the nearest ski run. Nothing will stand in the way of fun on the pistes here! Ortler Ski Arena | The Ortler Ski Arena lies in the west of South Tyrol. Fourteen ski areas with over 300 kilometres of pistes in total offer optimal conditions. 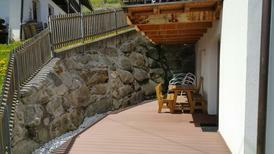 Italian Alps | Here you can enjoy the mountain panorama directly outside your front door. Mountain lodges are the ideal accommodation to experience the alpine landscape up close. 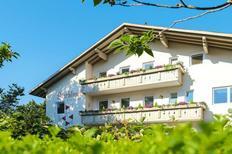 ​Italian Adriatic | A vacation in a holiday park is particularly ideal for families. As parents you can lean back and relax whilst your kids are taken care of your hands and are fully entertained. A holiday house in South Tyrol costs on average USD 874 in the cheap travel period and USD 1,313 in the peak season per week. These details are of course in relation to the house and not per person as well as includes the obligatory additional charges. Italy’s northernmost region and the only place where you’ll find German as the common mother tongue, South Tyrol is a bit different from the rest of Italy. That said, there is still a lot of Italian charm in this mountainous region straddling the Dolomites between Austria, Switzerland and Trentino. The stunning alpine landscape makes it worth a trip in itself, and there are loads of hiking and biking trails you can follow deeper into it. The history is fascinating and the food is a great balance of Austrian and Italian influences. 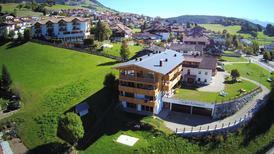 Why get a holiday home in South Tyrol? Have a look through the holiday apartments in South Tyrol offered by TUI Villas, and you’ll see that Italy’s northernmost region promises an excellent vacation. Ski holidays are the norm here, and with good reason, since some of Europe’s premier ski areas are found in South Tyrol. 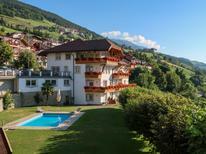 There's also great hiking, sightseeing and cultural immersion to be had, and holiday homes in South Tyrol place you within easy reach of it all. If you’re travelling as a family, you'll easily find something to suit your needs with TUI Villas. From typical alpine cottages suitable for a couple and infant to multi-room villas capable of holding a family with teenagers, there are plenty of typical alpine-style options (think wooden panels, fireplaces and A-frames) that provide all the amenities you need. With independent cooking and laundry facilities, plus on-site parking, WiFi and satellite TV, a holiday home in South Tyrol can be an ideal place to retire to after a day of skiing. If you’re looking to unlock the beautifully forested paths into the foothills of the Dolomites, why not find a cosy cabin around beautiful Lake Carezza, from where you can slip out and start straight on a hiking trail first thing in the morning? Return at the end of the day to rest up in your comfortable holiday home. Hiking on vacation can be a leisurely affair with a few hours spent at South Tyrol’s various vineyards, or a multi-day trek from sunrise to sunset. The beauty of staying in holiday homes in South Tyrol rather than hotels is that you can often find places off the beaten path. Wedged between warring kingdoms and empires for centuries, South Tyrol has a rich history to tell. Whereas its Germanic and Austrian roots are obvious in the local language and cuisine, there are also some stunning remnants of South Tyrol’s Hapsburg glory years evident in the 19th-century architecture of towns such as Meran and Neumarkt. To see relics of the area's colourful medieval period, visit Bruneck, Klausen or Glurbs, the latter of which is argued to be Europe’s smallest and most photogenic city. You can find a holiday home set by some of South Tyrol’s imposing castles, with TUI Villas near Monteleone, Juval and Cornedo. Find a holiday apartment in South Tyrol ‘s biggest city, and you’ll be able to discover a unique blend of Italian-Austrian culture and cuisine. Bolzano, the biggest city, is the centre of economic and cultural activity in South Tyrol. The city boasts many great restaurants serving local favourites such as knödel, and museums, including the South Tyrol Museum of Archaeology (home to the famous Stone Age 'Iceman of Ötzi') and the Museion Contemporary Art Museum. 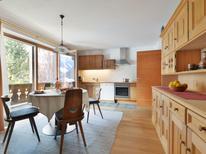 Bolzano is great for families, as you can get around most of the city on foot. There are three nearby peaks you can reach directly by cable car from the city, all with great views. There is also a fantastic cycle network in and around Bolzano. TUI Villas’ holiday homes across South Tyrol are spread out all over the place, so you’re not confined to towns, cities and ski resorts. Instead of staying in a resort hotel, find a cosy cabin within the vicinity of the Dolomiti Superski Area, and you’ll have the slopes nearby as well as a cosy, secluded cabin with a fireplace and kitchen where you can have your own private après-ski. To explore a different side of South Tyrol, find a holiday home in the Eisack Valley and visit the northernmost vineyard in Italy and the precious art treasures of Brixen. 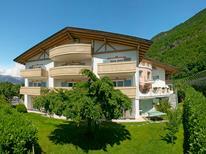 If you’re looking for a summer holiday home in South Tyrol, check for options in the Valley of the Adige, the second-longest river in Italy. Considering the majority of its landscape comprises seemingly impenetrable alpine peaks, South Tyrol is surprisingly easy to get into and around. By bus, you can get from all over Central Europe straight to Bolzano or Genoa, from where it’s easy to reach any holiday home across South Tyrol. In terms of flying, Bolzano Airport is the only major hub in South Tyrol. However, for low-fare and international flights, it’s much easier to find a flight into Munich, Verona, or Milan, from where you can travel easily to South Tyrol. Generally, South Tyrol has drier and sunnier weather than regions on the northern side of the Alps, offering a mixture of Mediterranean and continental climates. The strong föhn wind often whips through South Tyrol’s valley regions, blowing cool in the summer and warm in the winter. The best months for skiing are from November to March, though it’s possible to find decent snow either side of this season, depending on where you are. From June to September, it's dry and hot, though not sweltering by Italian standards. The weather tends to be very changeable between spring and autumn, though very pleasant for hiking and cycling.